On October 3, 2015, Dave Millard, owner of AC Dave’s heating and Air Conditioning, presented a $300 check to Leona Valley Sertoma to purchase turkeys for our annual holiday turkey giveaway. Each year we provide a combiantion of turkeys, canned goods, gifts cards, and toys to very special families that are going through some tough times. Our motto is, Service to Mankind, and we make it our mission to be as helpful as we can. In the picture (from left to right): Dave Millard, presenter; Juanita Kirkpatrick, treasurer; and Cathy Toso, president. On May 19, 2015, Leona Valley Sertoma had the honor of supporting the accomplishments of Antelope Valley College student, Diana Salceda, by presenting her with a $1000 scholarship to help further her education in the area of deaf studies. Diana’s intentions and desire is to continue on to a four year college. 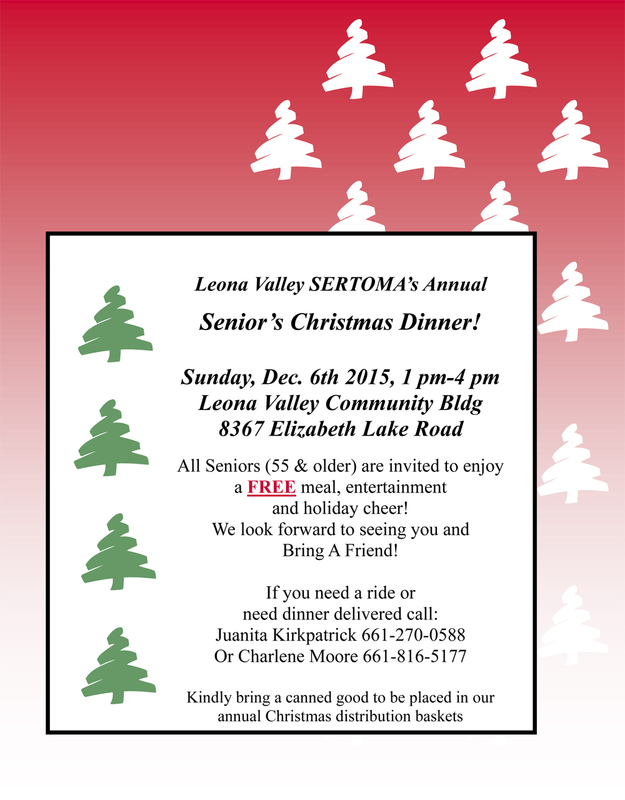 The Leona Valley Sertoma Scholarships Program serves a major part in our efforts to make a difference in the communities we serve. In providing our young people with the ability to attain a higher education we are ensuring that they will have opportunities to help make and be part of a brighter future. 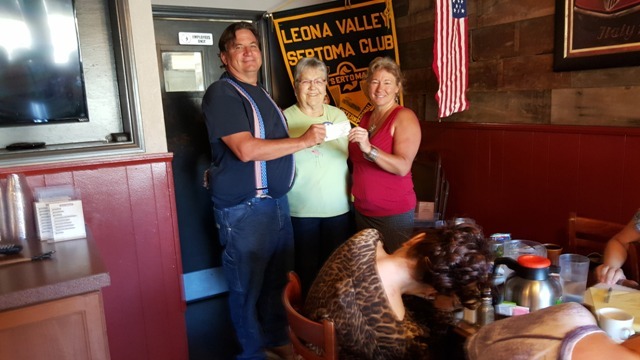 Fundraising for the Scholarship Program is always ongoing in the minds of the members of Leona Valley Sertoma and one of the ways they do that is by hosting the annual “Sound Off” for Sertoma 5K walk/run. This event has proven especially popular and has now added a 10K for those seeking an even greater challenge. The next “Sound Off” event is taking place on October 10, 2015 and you will find the sign up form in the “Announcements and Events” section on our Home page or click this link: Sound Off Sign Up Form. 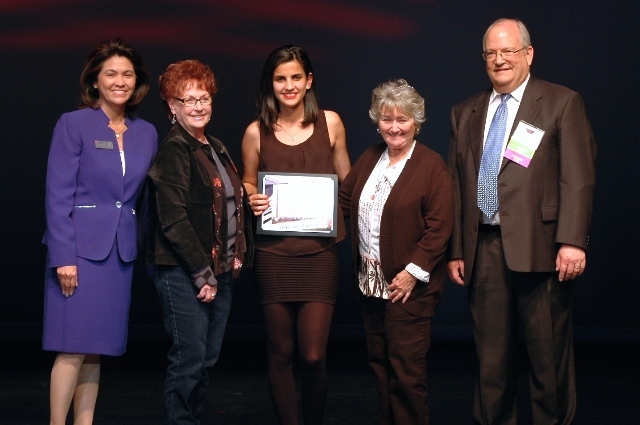 In the photo, left to right: Mrs. Pam Gaspar, AV College Foundation Board Scholarship Chairperson, Barbara Heins, Sertoma Scholarship Presenter, Diana Salceda, Scholarship Recipient, Jan Clark, Sertoma Scholarship Committee member, and Mr. Ed Knudson, Superintendant, President, Antelope Valley College.